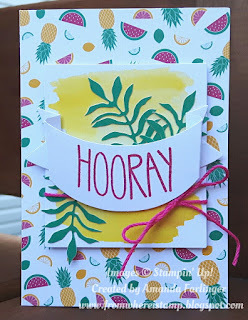 From Where I Stamp: One In A Melon! 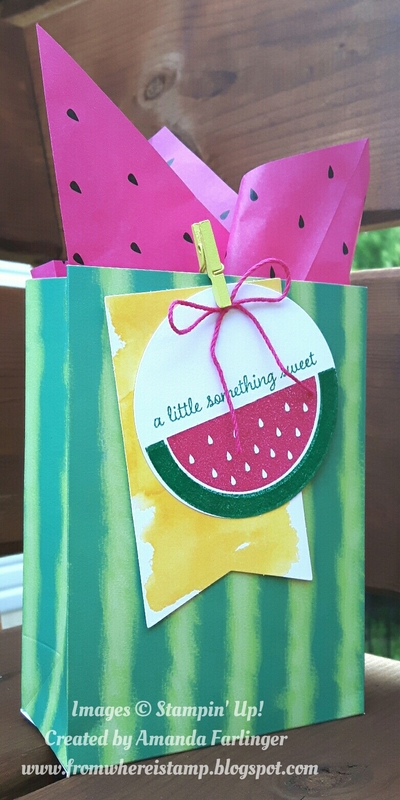 Created one of the gift bags and a card from June's Paper Pumpkin kit called One in a Mellon. 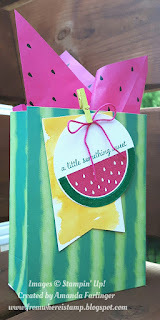 Did you spot the watermelon tissue paper with seeds? 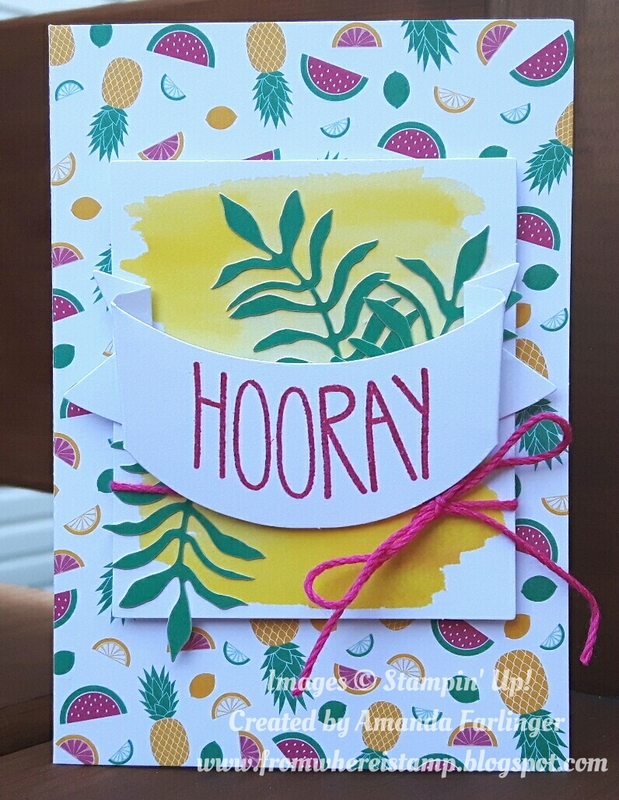 My fav part of the kit.